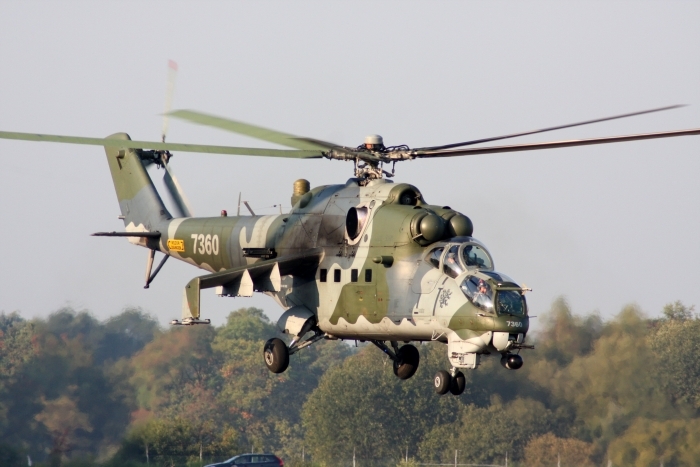 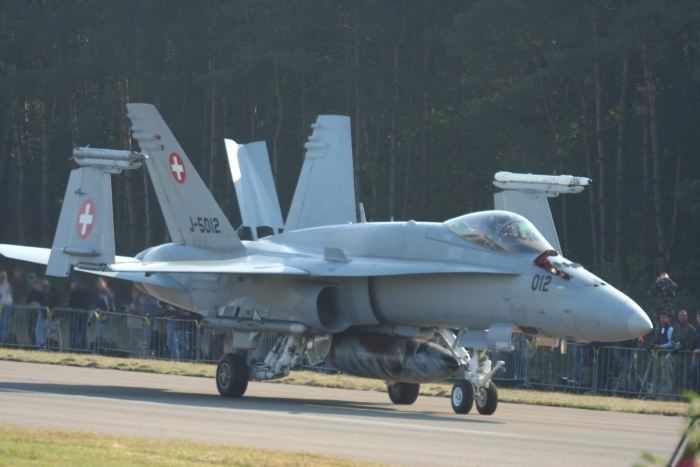 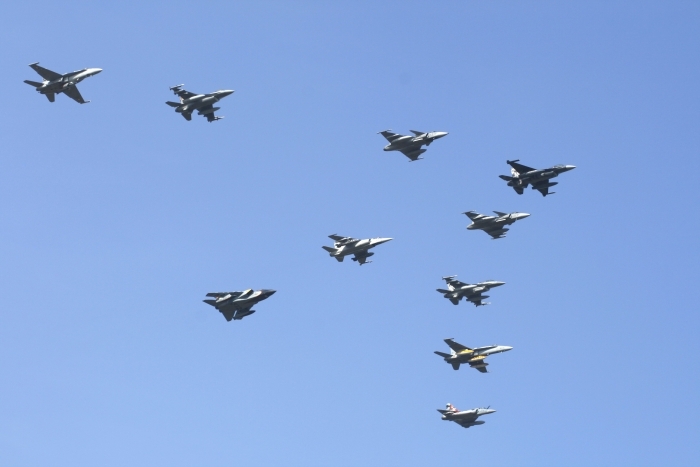 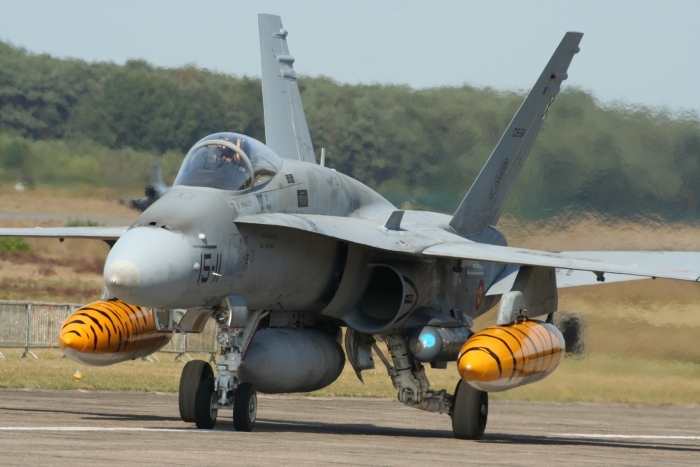 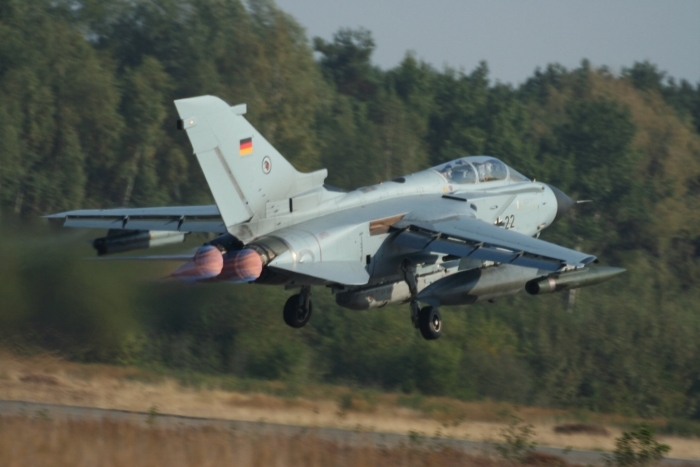 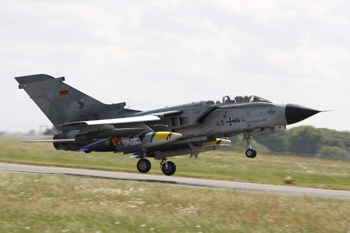 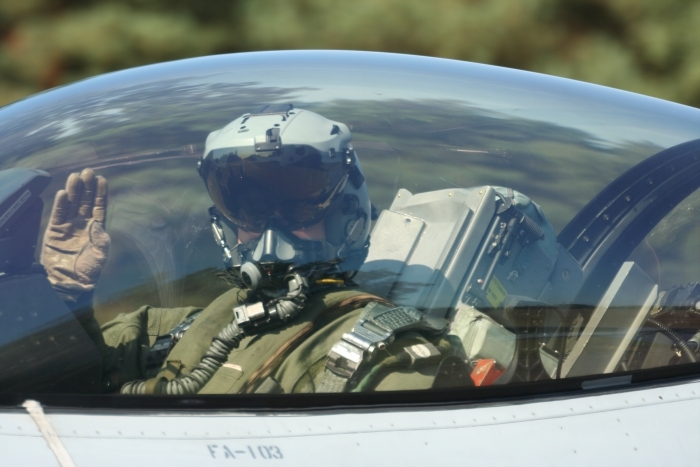 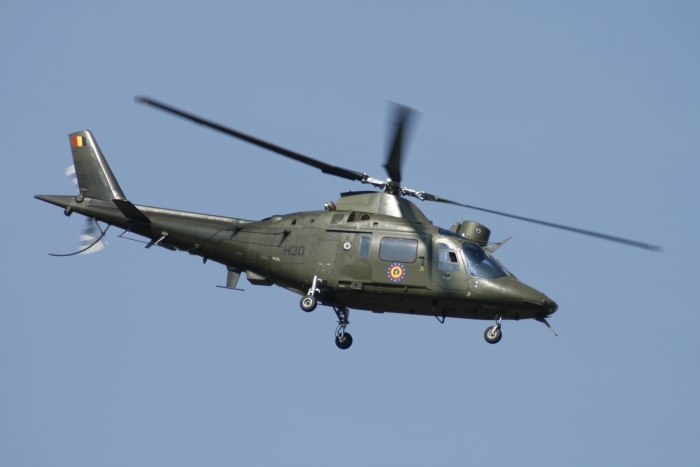 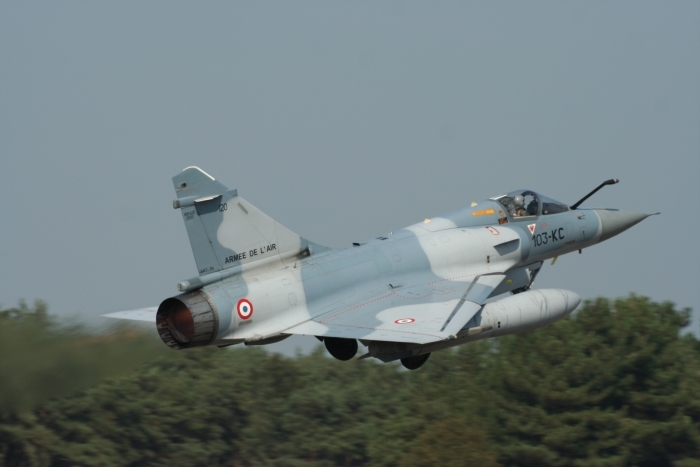 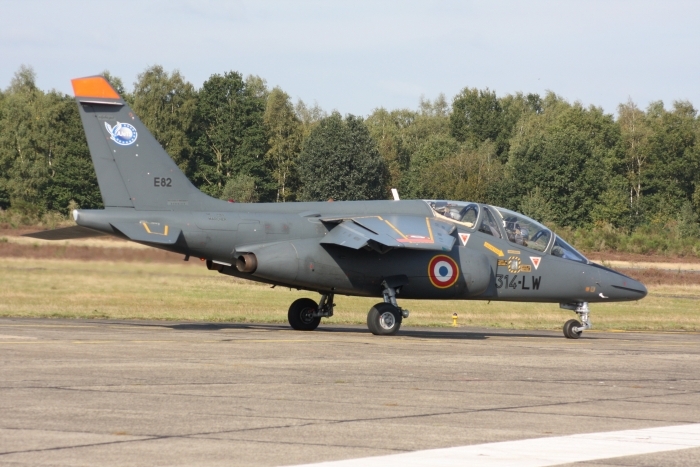 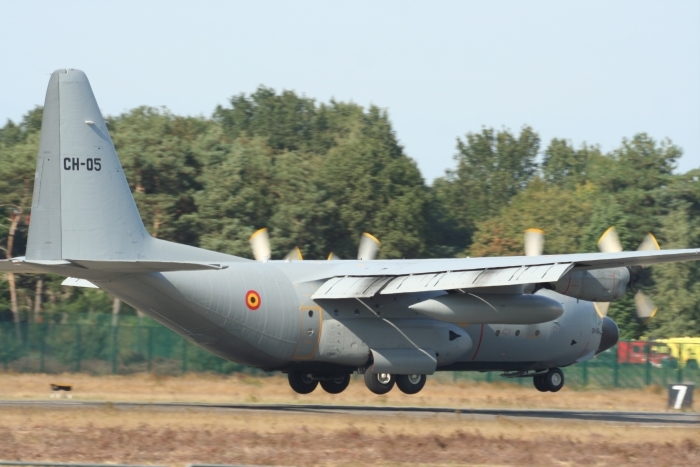 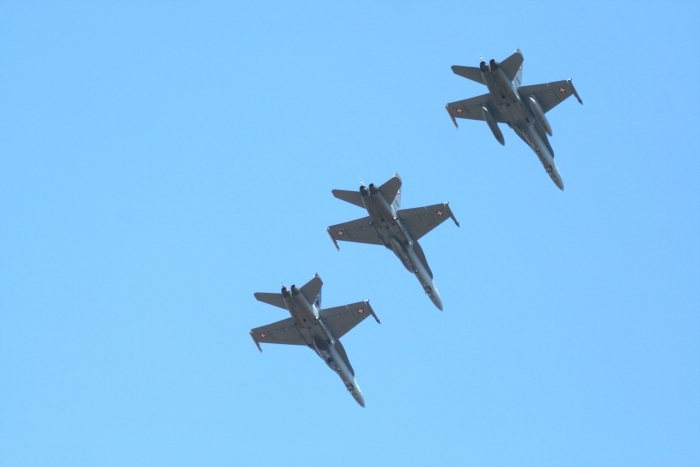 For many years NATO has organised a meet of flying units which all have one thing in common. 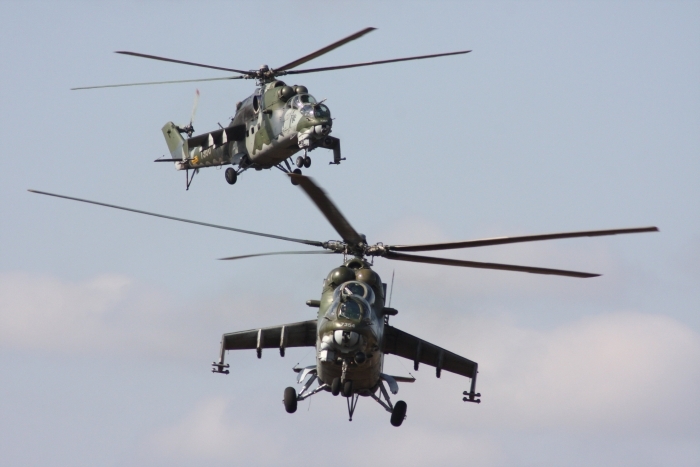 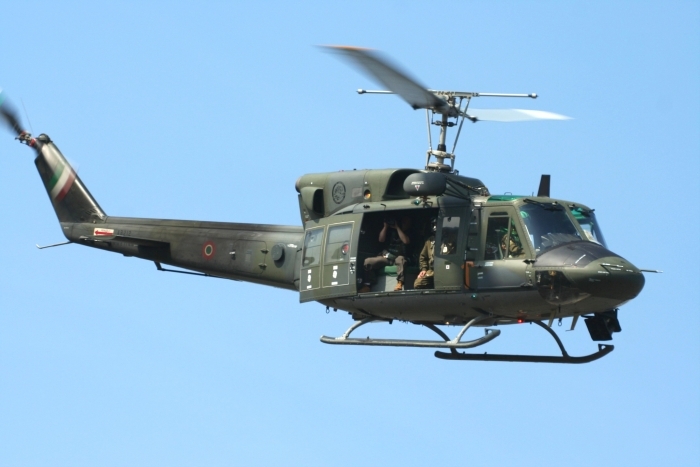 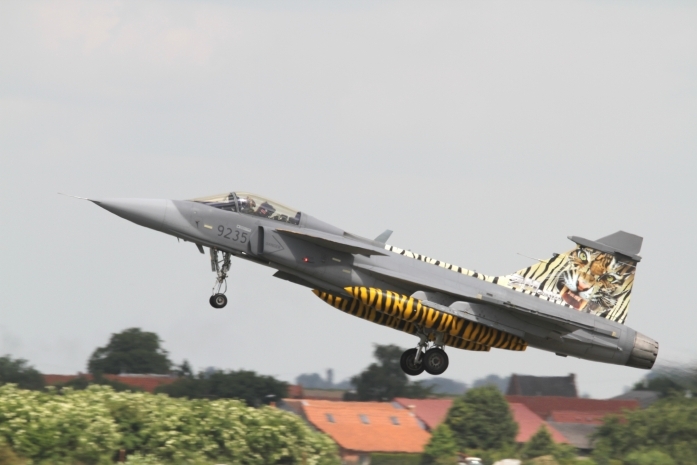 Over the years the Tiger Meet has evolved from a social get to together to a real flying exercise, in which the capabilities of the various participating types were put to good use. 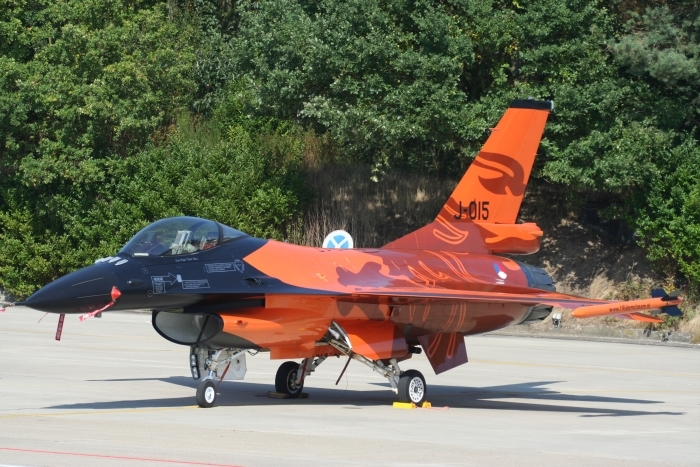 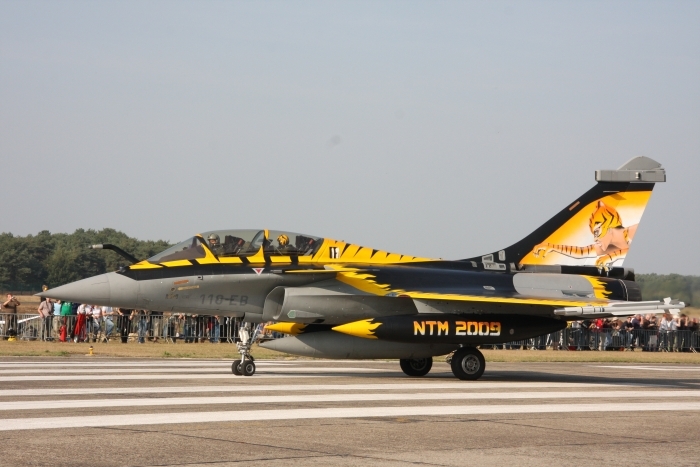 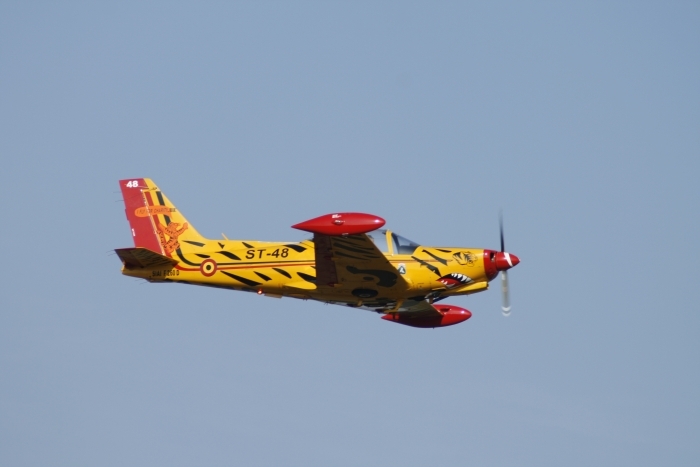 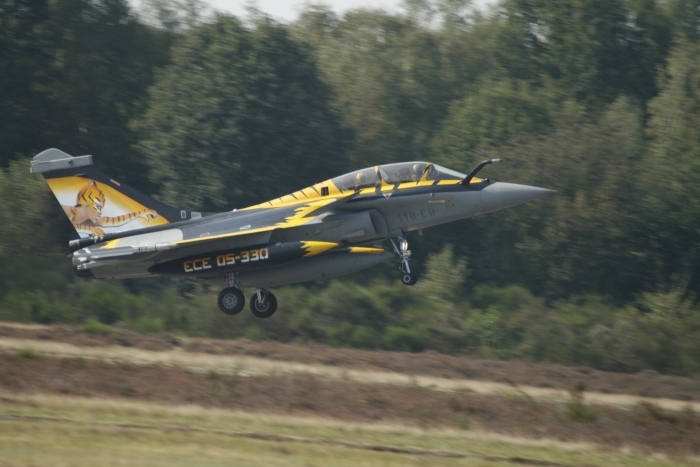 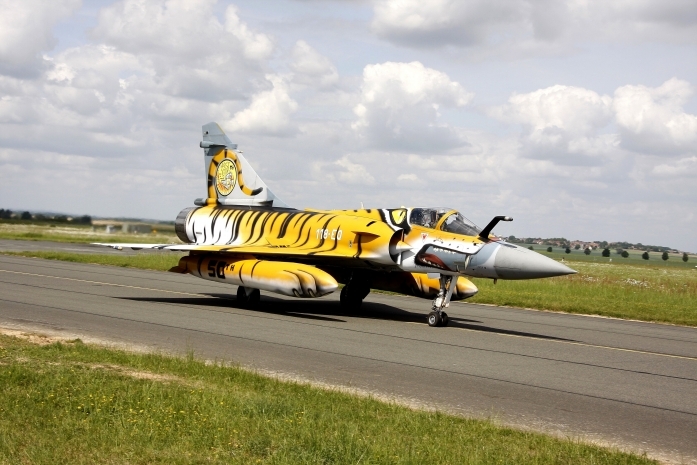 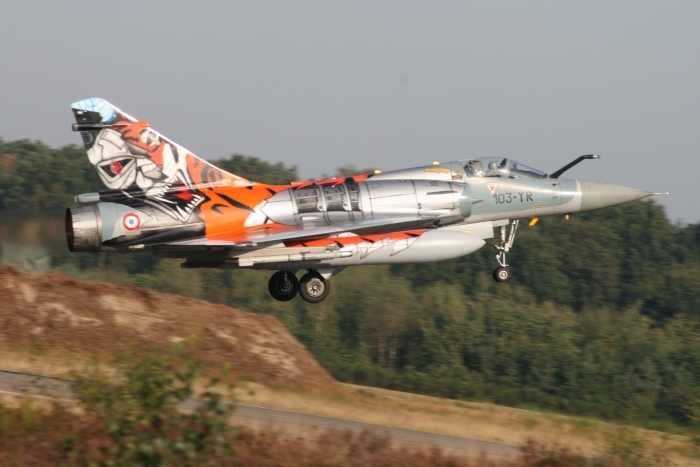 The tradition is for participating units to have at least one of their aircraft painted with a tiger inspired paint scheme. The 50th anniversary of the NATO Tiger Meet was held at Cambrai in France, but the first Tiger Meet was held in the UK. 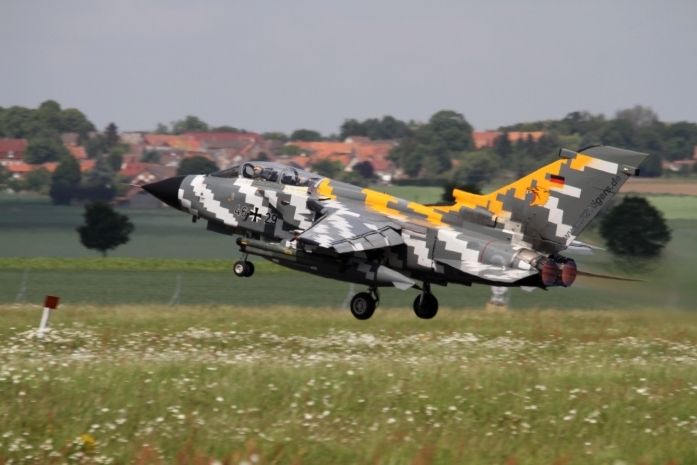 The two tiger squadrons in existence at the time were 74 Squadron based at RAF Coltishall and the 79th F.B.S. 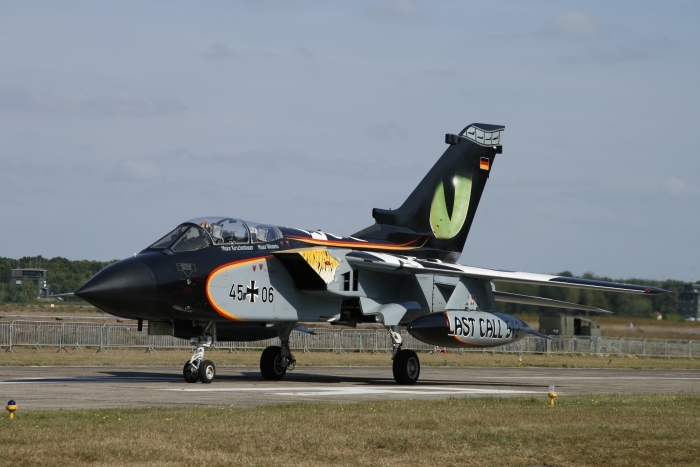 based at RAF Woodbridge. 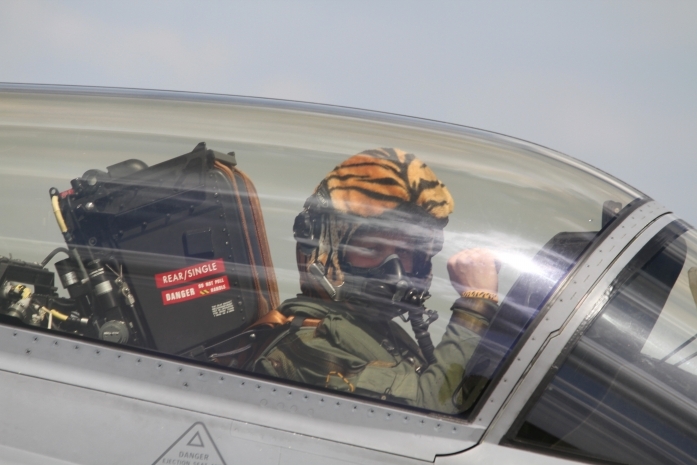 So between the two tiger units there was plenty of banter. 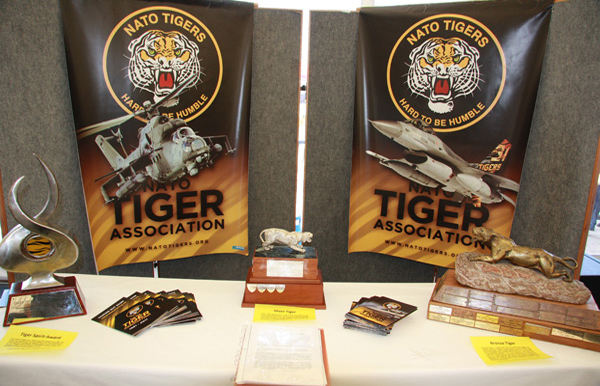 The first NATO Tiger Meet was held on the 19th July 1961 at Woodbridge and the first logo of the tigers head was born. 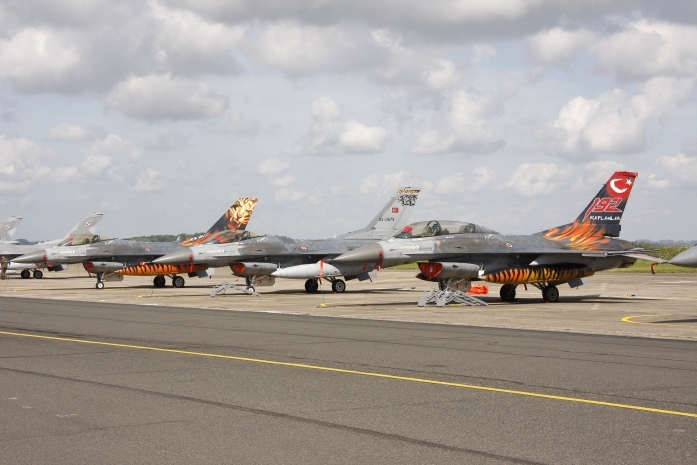 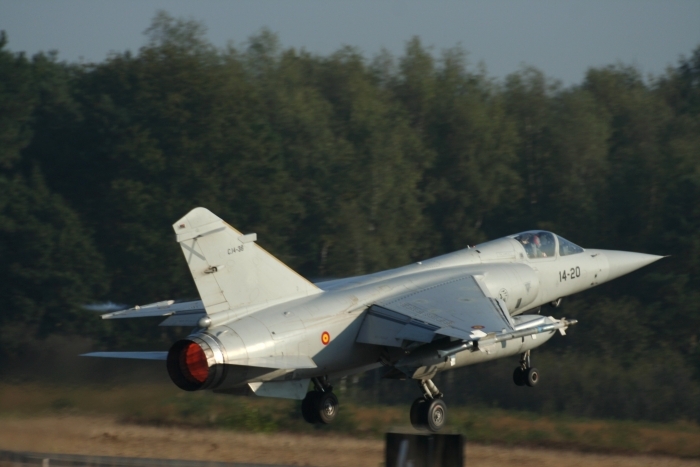 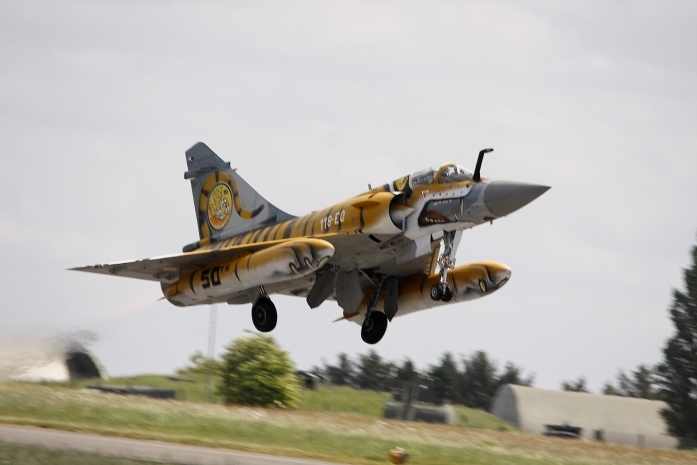 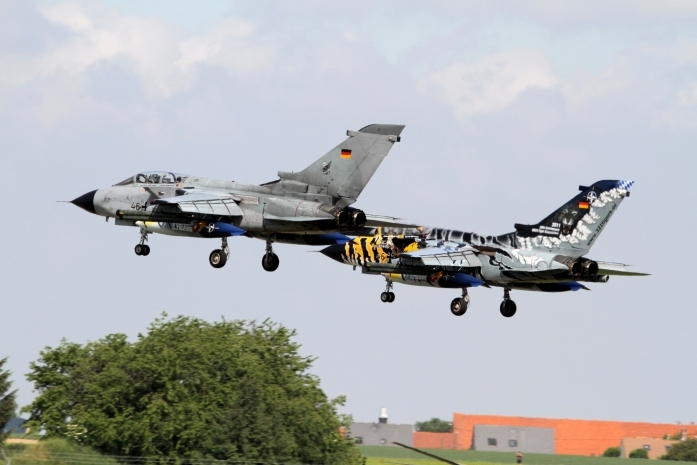 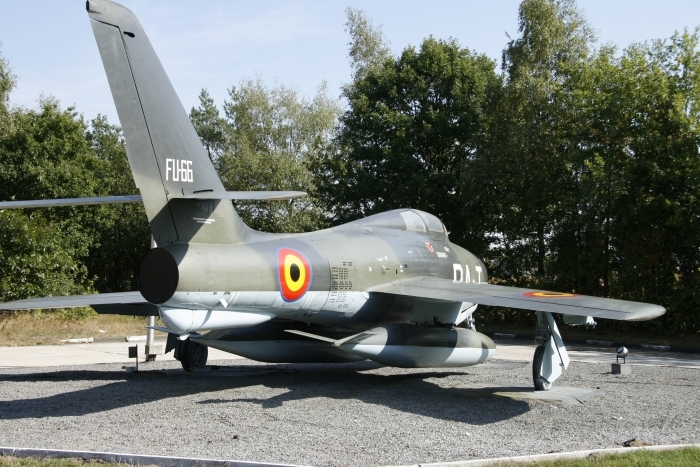 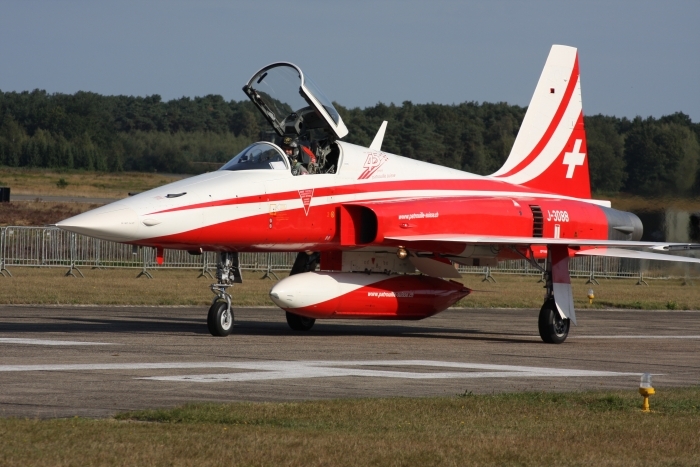 Nato countries got involved over the years with fantastic paint schemes on aircraft, including such types as F-104 Starfighters from Canada and Italy, Phantoms from the UK, Germany and the USA, F1 Mirages from Spain, F-16s from Belgium and the Netherlands and Lightnings from the RAF. 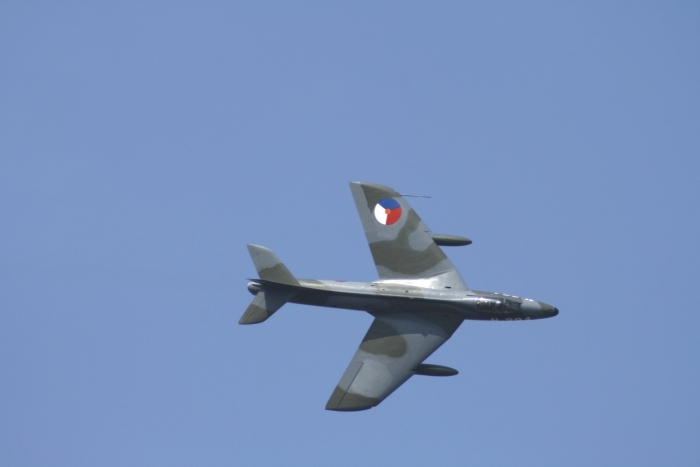 Also of note, the RAF had a display team which flew the Lightning and the aircraft were drawn from No. 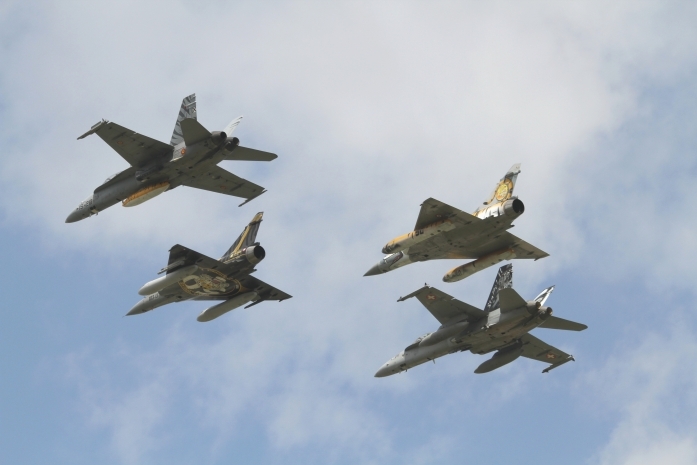 74 Squadron's Lightnings which was called the Tiger Squadron. 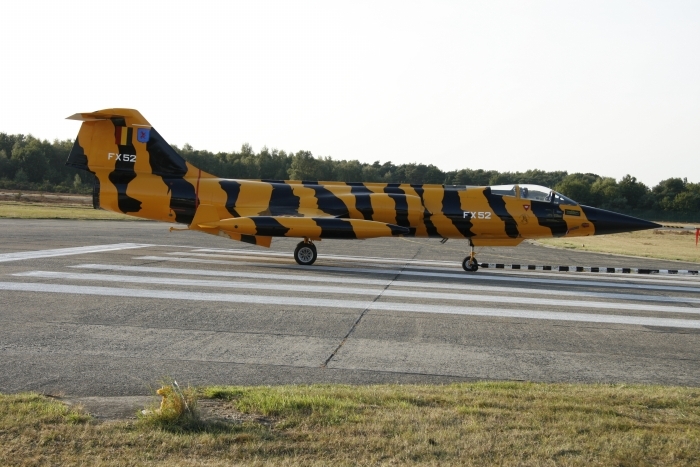 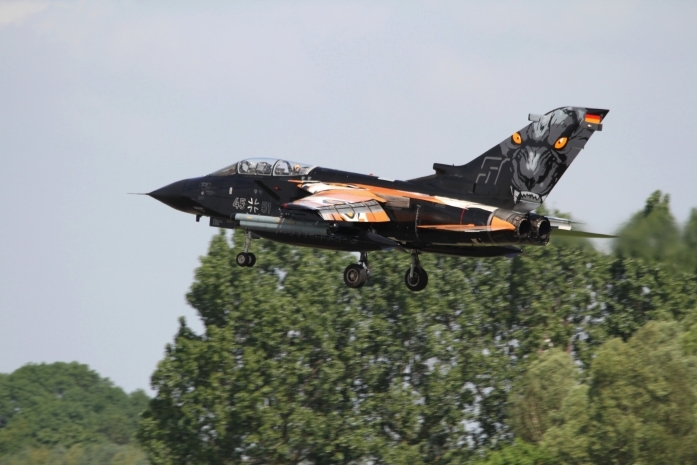 The NATO Tiger Meet is so popular that air forces throughout the world still attend with some remarkable paint schemes on their aircraft. 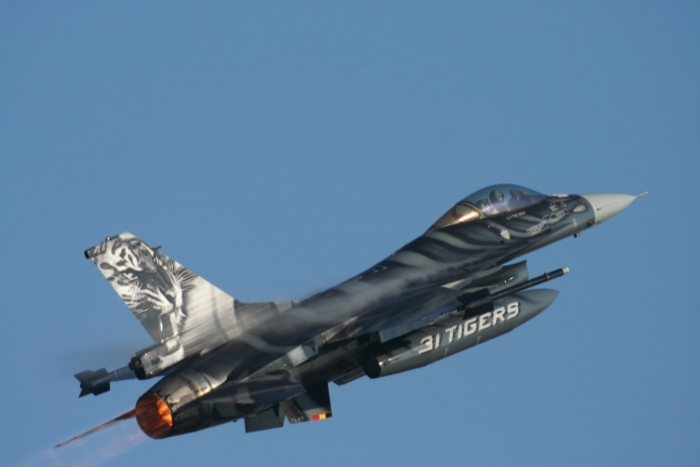 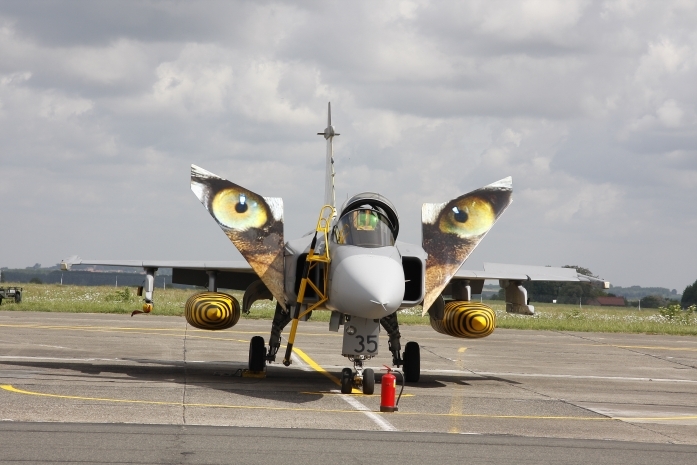 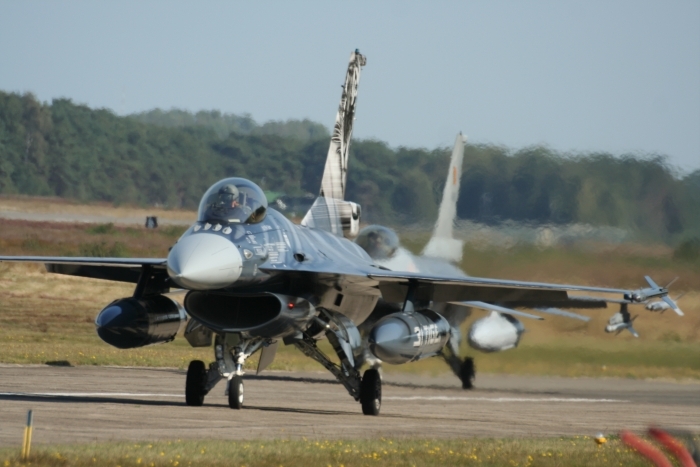 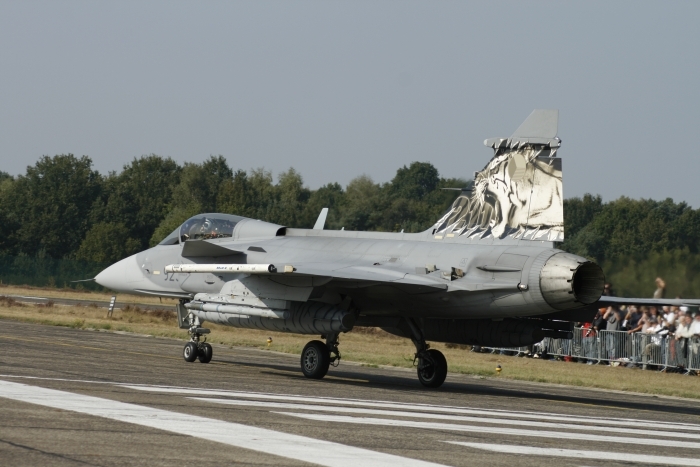 The NATO Tiger Meet 2009 was held at Kleine Brogel in Belgium. 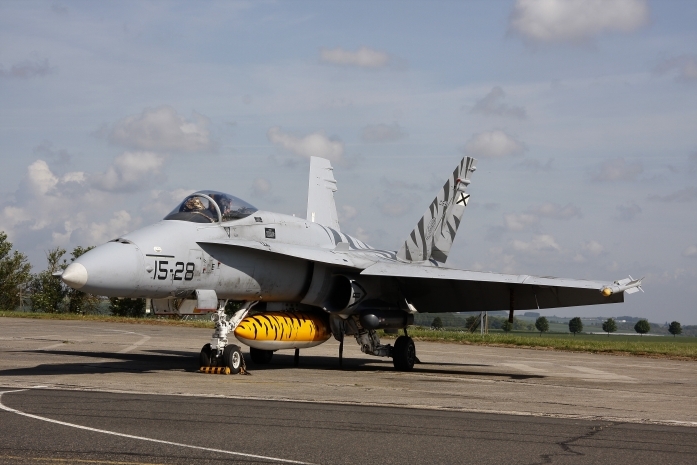 Aircraft taking part in the day's missions taxied in a way which enabled the waiting photographers to get some excellent shots. 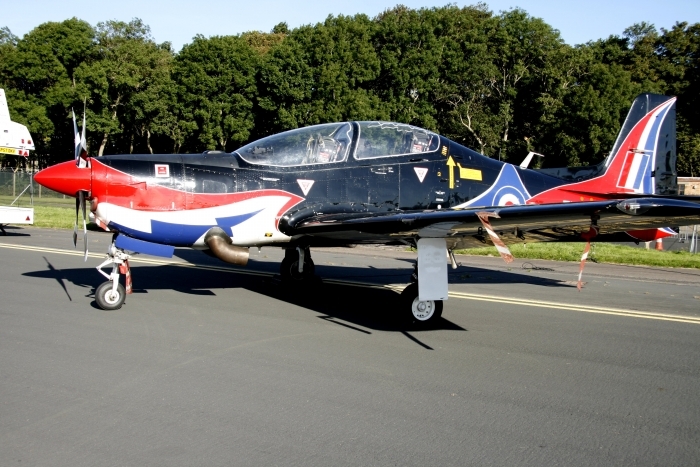 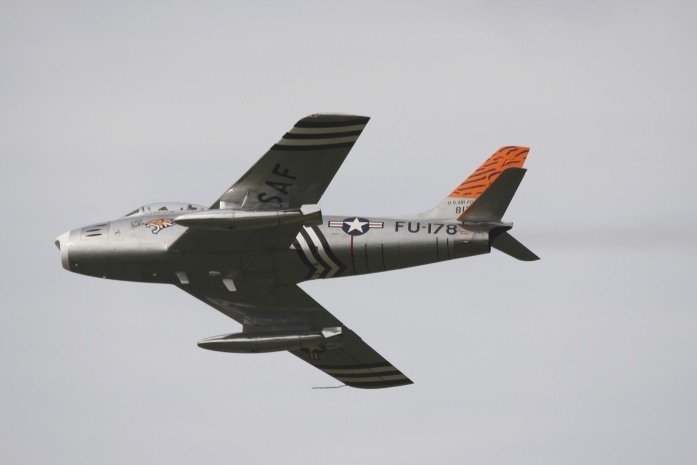 The organisers had taken into consideration what the photographers wanted and parked the specially painted tiger aircraft where they were accessible instead of in the shelter area. This event must almost be unique, with such hardware being on display and operating all from the same airfield. 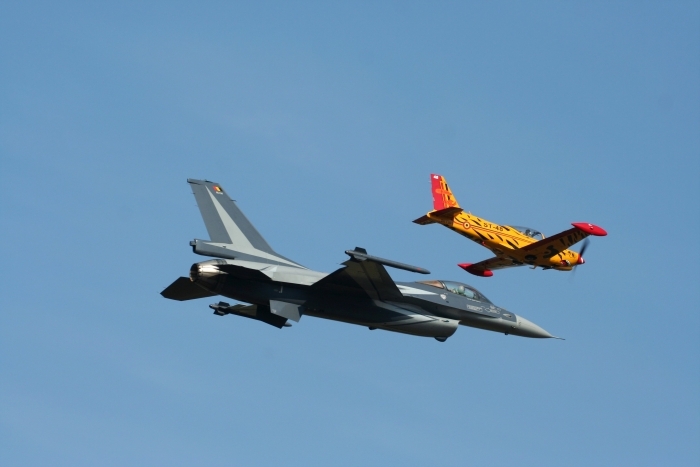 With such a mix and match of aircraft from some of the world's finest air forces this event has become something of an icon.